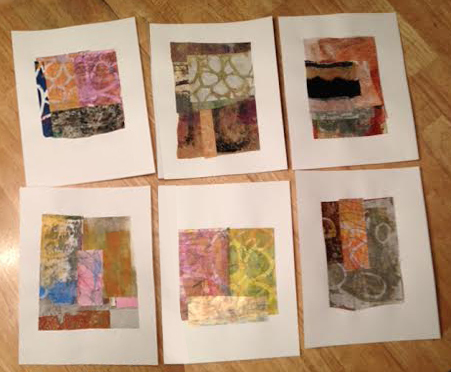 This is the final collage to be posted from my “Loops Series.” As you may recall, these are made from papers created with my gelli plate. There are more papers. Just need to get psyched to make more collages. I don’t think I’ve exhausted the possibilities of this series yet. More to come, I hope. Meanwhile, I have a fun canvas started using some of the same papers. This one is 16×20 inches and is very much a work in progress. Beaut collages…. simple, but with great impact. WOW….I just love the fun collage. That is exactly what it is. Thanks, Pat! It’s definitely a fun way to work. They are great – color, bold, yet playful. I am going to have to get a gelli plate and give it a whirl. Shirley, I know you’d have a blast with it! That is a very nice collage. I may have to try one. Yours is quite lovely! Thank you, Kristy. You really should give this process a try. 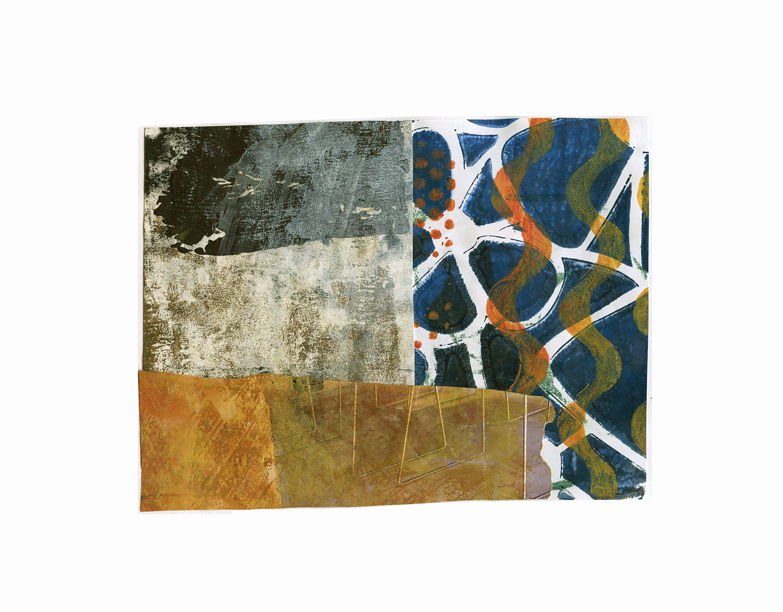 Love the simplicity of the forms combined with the complexity of the Gelli prints – beautiful! Thanks, Win! So nice of you to stop by and comment.